It's a pleasure and an honour to capture each wedding day, every single one is different. Here are just a few of the very kind things some of my previous couples have said about my coverage of their wedding day. i got so excited on the Saturday that i spent 7 hours arranging them into a book on photo box and finished at 2am. We are so happy with result everyone loves them and you have made my christmas shopping very easy as everyones getting pictures! It was a pleasure working with you, and i will recommend you to all my friends when they get engaged. Just wanted to drop you a message and say a massive thank you. We received all the pictures and DVD and they are absolutely amazing, thank you so much they were exactly what we hoped for. And the jumping photos rule!! Your photos are beautiful. Thank you so much! We really loved our day and your presence was an enjoyable addition. Thank you for being a part of it, putting us at ease and making us all look fab! I suppose we did make things easy for you by inviting rather gorgeous folk to photo (Emma & David). I have cried at every viewing of the DVD (in a good way) and know that we will watch it at various times for decades to come. You really are a talented chap and we feel that we could not have picked a better person to capture the treasured moments of our special day. Choosing a photographer for your wedding day is no easy task… but I would urge you to look no further than Neil Pollock Photography. My husband and I wanted observational, natural and atmospheric photos that would capture the spirit and fun of our day - with only a few slightly more formal photos of the essential family groups. Neil delivered on every level - he's incredibly professional, invisible when necessary, and (nicely) bossy when necessary, great with people - grannies and toddlers - and well, really talented. Just look at his photos! We couldn't stop grinning when we got the pics through and re-lived our day, and his DVD slideshow is a great touch - brilliant for giving to family. His rates are very competitive to boot, so we really couldn't recommend his services any more. I have been obsessively looking at them all day lol. The dvd was brilliant, so good that after we watched it we made some of our friends come over and watch it, then a few more. Loved it. Thank you so much, they are perfect and exactly what I'd hoped for. Hi Neil, we received the photos on Friday. You are so clever! I have watched the DVD slideshow 7 times and cried all the way through each time. Photos are just perfect!! Even my dad and Steven had a tear in their eye! And the music you have chosen goes so well. Thank you so much once again. ...just got the photos and watched through them (3 times back to back!). I always knew that you would do an incredible job but we're both absolutely lost for words, they're so amazing. You've just captured the day so perfectly, I cried and laughed in equal measures watching it through! Thank you so much. Just a quick email to say thanks so much for the beautiful photos. They arrived on Tuesday and we viewed the slideshow together on Tuesday evening. We're so happy with the images - you really managed to get all the details with everyone looking relaxed and having fun. Everything we'd hoped for. Neil did our wedding photography and I wouldn't hesitate to recommend him. We felt really relaxed with him and with the exception of any posed photos - we actually forgot he was there allowing us to concentrate on our day! The photos arrived promptly and we absolutely loved the DVD set to music. 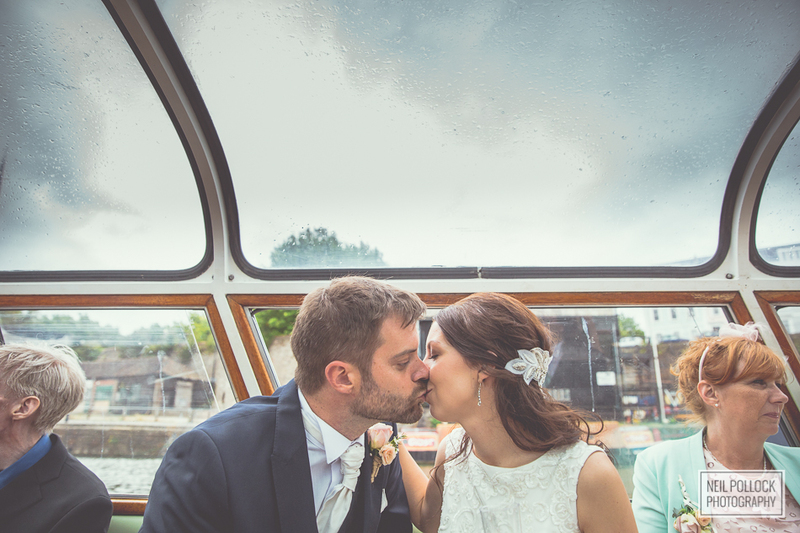 We were overjoyed with our the photographs and feel Neil captured the atmosphere perfectly. We were so happy to find the CD's in the post on the return from Cuba, we know how lucky we are to have them so quickly- so thank you very much! What amazing photos they are! They capture the whole day beautifully, and staying on longer than Neil needed to meant he even got those funny shots into the night. We didn't even know he was there half the time. Neil has provided us with an unbelievable collection of stunning photographs and we can't thank him enough for that, they were worth every penny. We knew the style of photography was what we wanted because as we agreed the set up family and group shots are minimal because we find they just aren't a patch on the 'real' moments Neil captured. You have a fab eye Neil and we are over the moon that we were lucky enough to have you. We would recommend Neil to anyone, outstanding! Where to start! Your photography is stunning. We enjoyed the whole journey with you, thank you so very much! The pictures are fabulous. We love them. We all felt like you were a guest more than the photographer which made us all relaxed.